How to Analyze Mutual Funds Before Making Investment? Read to know the step by step process of analyzing mutual funds. In life, you can either make a right choice or a wrong choice, there is nothing in between. The same is the case with mutual fund industry, where you can either choose the right scheme that can help you in reaching your long-term goals or a wrong scheme that can disrupt your long term goals severely. Now, one common mistake which a lot of investors make is, while selecting a mutual fund, they either go for a scheme that their friends or relatives suggest them or do a little bit of online searching and go with the first recommendation they find. Only a few are there who do an analysis on their own before selecting a fund. So, today, have a look at a step by step guide, which you can follow to pick the best, leaving the rest. Asset Size: The assets under management or asset size of a scheme is very important as it conveys various things, such as how much capital the fund manager has in the portfolio, as a good asset size means he can create a more diversified and high valuation portfolio. In addition to this, it also shows how much popularity the scheme has gained in the market and what kind of trust investors show towards it. So, look for funds that have an asset size of Rs. 50 crore and above. Years of Presence: The second important check in the filtration step is finding the years of existence of the scheme. The age of a mutual fund ensures that it has spent some time in the market, has faced different market cycles and was able to sustain them. 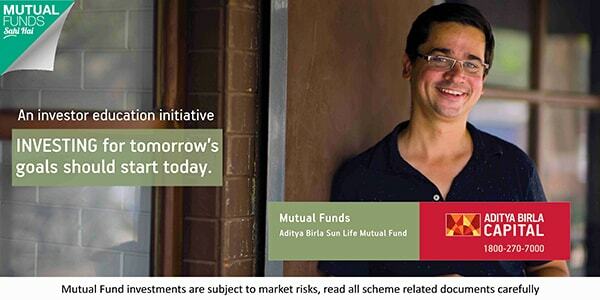 While selecting a mutual fund, make sure that it has completed at least 3 years in the market. Fund Managers’ Record: As you may know that all the investment decisions of a fund are in the hand of its fund manager. This makes checking the track record of the fund manager a very important step. To do this, you have to make a list of other schemes, that are also managed by the fund manager, whose scheme you have selected. After that, analyze the performance of these schemes during the different market conditions, and if you find them satisfactory, then only shortlist the fund. Past Returns: Return test is extremely necessary to not only know the profit generating capacity of the scheme but to also find the consistency in returns shown by it. In this test, you have to see long term as well as short term returns. For analyzing the long term returns, you have to see the annual average returns the fund has provided in past 7 years, 10 years, and since inception & have to compare it with the returns of benchmark and category average. In addition to this, you also have to check the short term returns (1 year, 3 years and 5 years) to know if the scheme is showing a great performance in the recent times too. Risk Measures: Analyzing the risk parameters of a scheme holds as much importance as analyzing its past returns. These tell us about the usual behavior of a scheme and what kind of fluctuations it shows during the different market conditions. There are various parameters that have to be checked for analyzing the risk and they are as follows. Standard Deviation: This measure shows the internal fluctuations that happen in a scheme whenever there is a change in the market sentiments. To check this, compare the value of the selected mutual fund with the category and benchmark. If the value is more than than them, then it means the scheme show more fluctuations and, if the values are less, that means the fluctuations are comparatively less. Beta: It shows the fluctuations that a scheme shows during the volatility in the equity market. The value of Beta can be used to see what is the percent of fluctuations that a scheme can show w.r.t the market. For e.g., if a scheme has a Beta of 1.10, it means that during volatility. it shows 10% more volatility than the market. This can also be used to measure the fluctuation of a scheme. Sharpe: Using this measure, the rewards you can check the reward you will get for taking the risk with your investments. If the value of this is higher than the category and the benchmark, then it meant the scheme provides better rewards for the risk taken and higher the value, bigger the rewards. Alpha: Alpha can be used to find out what is the usual difference between the returns of the scheme and the category. This step is one of the most important steps of the analysis guide, as this is one of the analyses that can be used to predict the future of a scheme. Investment Style: The very important step of asset allocation analysis is the investment style followed by the scheme. There are basically 2 types of stock picking style (growth and value), and checking what style is being followed by the fund manager can tell what type of stocks the scheme invests in. Using this, it can be predicted that the performance will be stable or with fluctuations. Market Cap Allocation: The equity market is divided into 3 market caps (small cap, mid cap, and large cap), and stocks are distributed among them according to their asset sizes. Checking that in which market cap the scheme has investments in and in what percent is a very important step in predicting the future behavior of the scheme. A high allocation in mid caps and small caps means the growth will be high, but so can be the fluctuations in returns. And, a high allocation in large caps means a moderate to high growth with added levels of stability. Sector Allocation: Analyzing the sector allocation can help a great lot in predicting the future performance of a scheme. All you have to do is check the sectors the scheme has major investments in and do a little bit of research on them. If the top sectors are included in the convictions of experts, then it means some great growth can be expected in the future, and the fund manager holds the capability to keep the allocation updated as per the market trends. And, if you don’t find the sector allocation that attractive, then move to a different fund. So, these were the checks that you can conduct before investing in a mutual fund to ensure that the choice you are making is the right one. If you still face any problem with the process, you can connect with the experts to get a detailed explanation. If you have any other query, submit them in the form below and the experts will get back to you as soon as possible. To see a more detailed procedure of mutual fund analysis, watch the following video.